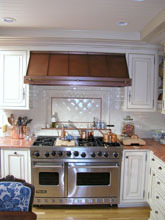 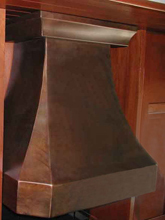 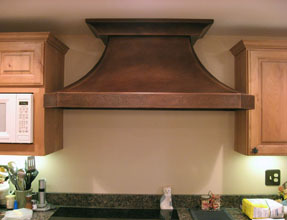 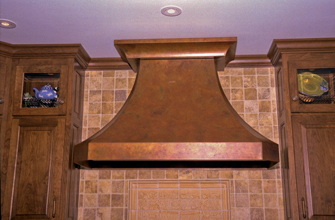 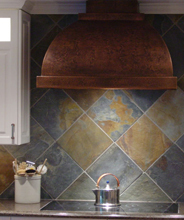 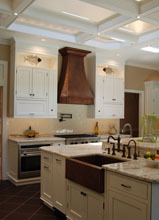 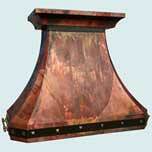 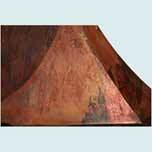 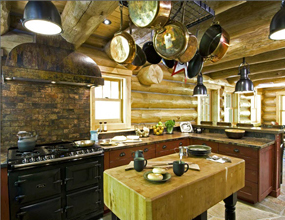 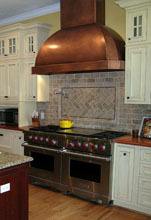 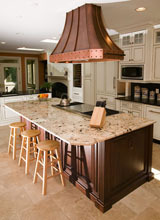 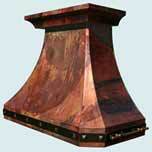 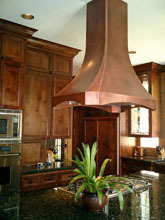 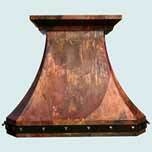 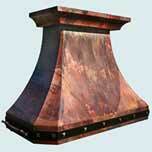 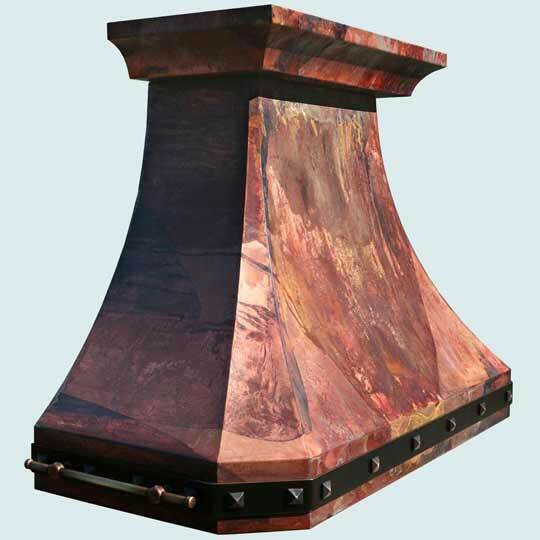 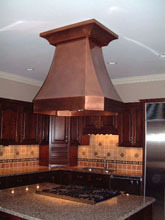 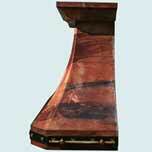 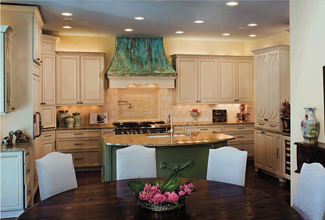 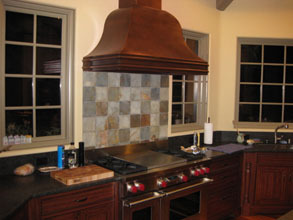 Bold Patina Copper Kitchen Hood # 4357 | Handcrafted Metal Inc. 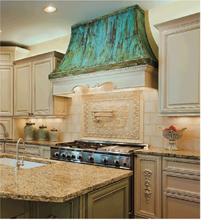 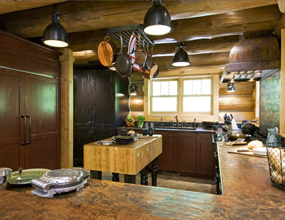 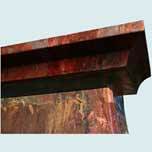 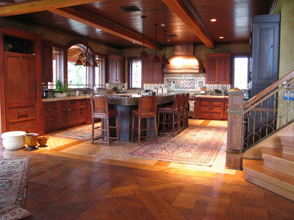 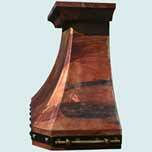 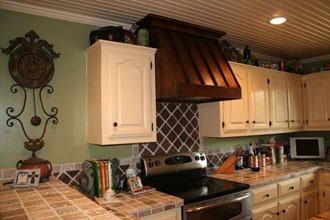 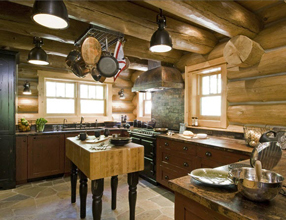 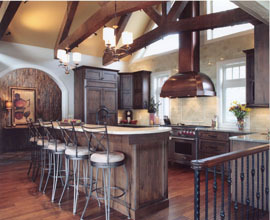 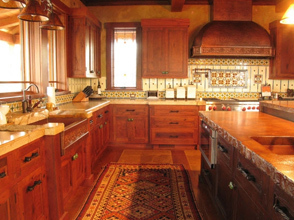 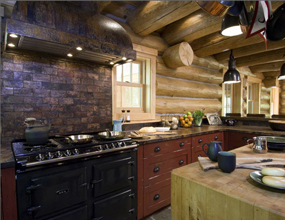 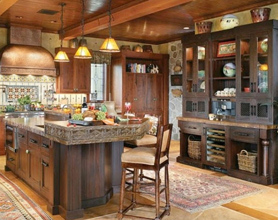 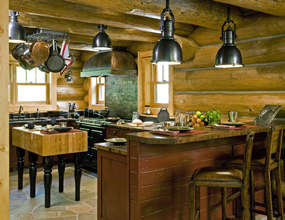 This French Country hood is a beautiful example of our Old World patina called Lori's Bold. 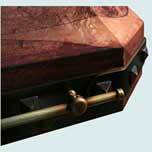 Darkened brass straps fastened by brass clavos adorn the perimeter of the bottom band. 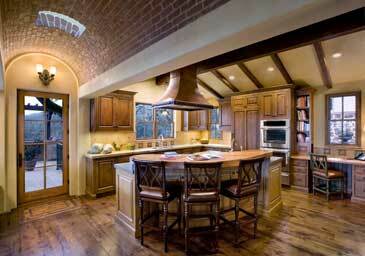 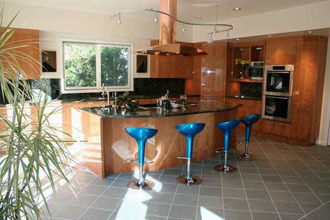 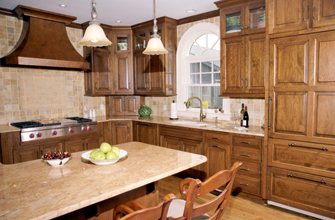 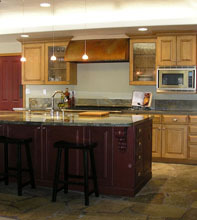 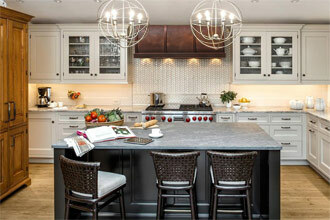 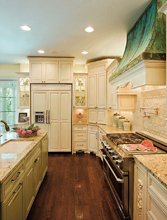 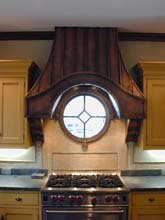 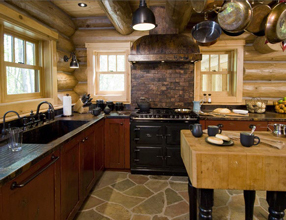 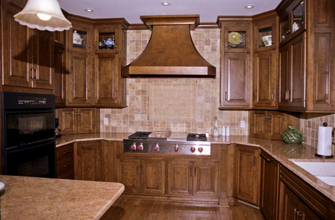 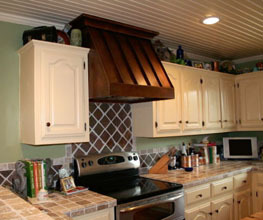 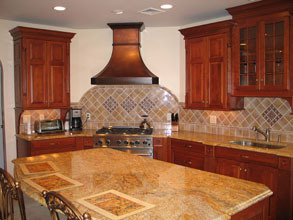 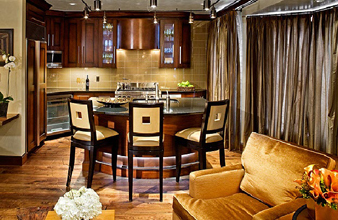 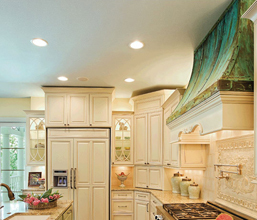 Brass pot rails on the sides add the finishing touch to this eye catcher.